Sports Connection will be partnering with Engineering for Kids to provide a different style of camp at our Ballantyne and Northlake locations. To Learn More and To Register, See Below! Please Note: Engineering For Kids Spring Break Camp is not a Sports Connection Camp. This camp is just taking place at our Northlake or Ballantyne locations. If any questions in regards to the camps, please contact Engineering For Kids for information. Please Note: Engineering For Kids Summer Camp is not a Sports Connection Camp. 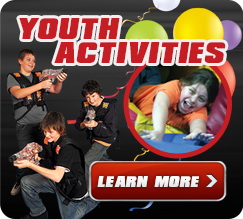 This camp is just taking place at our Northlake or Ballantyne locations. If any questions in regards to the camps, please contact Engineering For Kids for information.